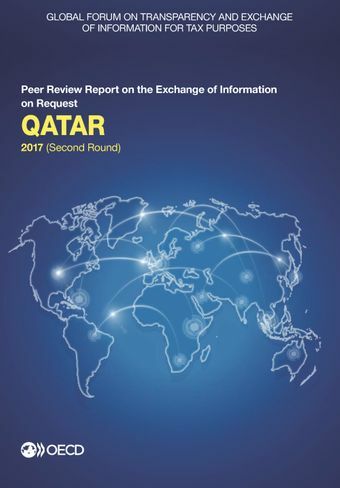 This report contains the 2017 Peer Review Report on the Exchange of Information on Request of Qatar. Qatar’s legal framework generally ensures that legal and beneficial ownership, accounting and banking information are available and can be obtained in line with the standard. However, there is a minor legal gap in relation to the identification of all beneficiaries of a trust, which may have implications for the availability of beneficial ownership information with respect to trusts. In practice, the regulatory and administrative mechanism of Qatar ensures that all relevant entities and arrangements, financial institutions and other AML-obligated entities in Qatar maintain and report legal and beneficial ownership and accounting information as required by the standard. Qatar’s exchange of information system, processes and procedures are in place to manage the exchange of information requests. The key issue where improvement is recommended relates to Qatar’s ability to respond to requests in a timely and effective manner. Qatar misplaced two of the requests it received during the review period and consequently experienced difficulties in responding to requests in a timely and effective manner. The second round review rates Qatar as overall largely compliant with the international standard.